Honeylocust Guesthouse - Colesberg Accommodation. 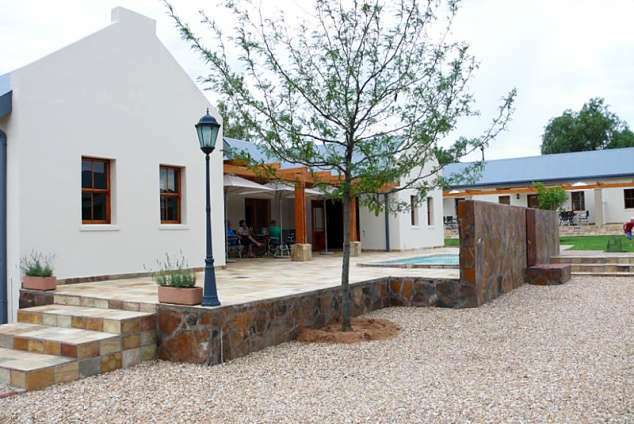 Honeylocust is a modern, luxury guesthouse in the historic town of Colesberg. Perfectly situated just off the N1 highway, it's the ideal halfway break on a long journey between the North and the South. Honeylocust was established in September 2009 offering six luxury rooms. Expansion of nine extra rooms as well as an onsite restaurant were started in September 2010 and completed in September 2011. Honeylocust caters for discerning travellers, business executives or families alike and offers the convenience of a private entrance and patio, en-suite bathroom, air conditioning, DSTV, secure parking and swimming pool in a truly magnificent setting. No two rooms are the same and every room has its unique character, decorated in a modern style with colours that match the subtle hues of the Karoo landscape. Emphasis in the rooms is placed on simplicity and quality products. Whether you are in Colesberg for business, just one night or intend to stay longer, you will find that Honeylocust is the ideal establishment for a comfortable stay. 35549 page views since 09 Mar, 2010.